Directly on the Yarra waterfront, you can visit a family friendly attraction of Sea Life Melbourne Aquarium. Spend over two hours admiring over ten thousand creatures organized in twelve zones, all differently themed. Especially interesting is interactive virtual 4D aquarium where, beside exhibitions, you can design your own creatures and see them swimming animated. Visiting a new city can sometimes be confusing, checking out visitor Centre can greatly help you get on top of things. 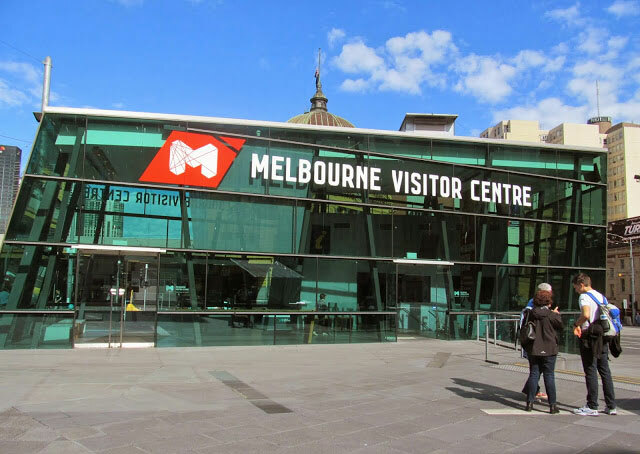 Found on Federation square Melbourne Visitor Centre (MVC) can not only offer you maps, brochures, souvenirs and alike but also event listings as well as on-site booking service to help you with arrangements. Be i t tours or attractions all can be arranged on the spot. One of the top 5 Melbourne landmarks is the Eco-project of the Royal Botanic Gardens Victoria (Royal Botanic Gardens Victoria). This botanical garden project exists since 1846 and contains about 8,500 different plant species. This beautiful, green and floral section of Melbourne is pierced with trees, lakes, grasslands. Here is the Australian Research Center for Urban Ecology. Combine the best of both worlds. Melbourne Museum with its different sets of life in Victoria, all from history and culture to natural environments and the IMAX 3D cinema, with its largest screen in the world and high tech laser projector combined make this one of the most unique and surprising experience. 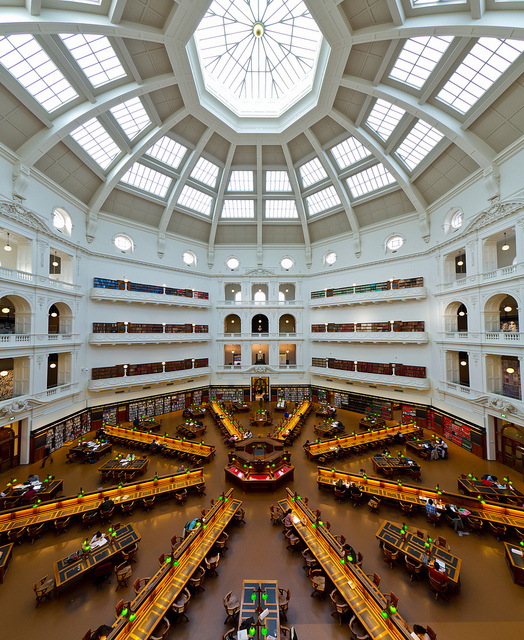 Visiting SLV in the heart of Melbourne city will open you to one of the most interesting libraries in the world. State Library of Victoria, opened in 1854, is not just a library, with its Victorian architecture and unique ambiance is also a museum of history and art of Australia and Melbourne. The oldest railway station in Australia is located on the Flinders street (directly across the Federation Square). With its distinct architecture, clocks, and tower, it is the most recognizable building and a cultural icon of Melbourne. More than a thousand trains and over hounded thousand of people come and go through this station every day.